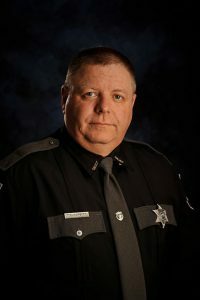 The shared vision of the members of the Wirt County Sheriff’s Department is to make Wirt County, West Virginia one of the safest places in the nation to live. To protect and serve through the fair and just delivery of community policing services while providing the highest level of professional law enforcement to the citizens of Wirt County. Consistent with our mission, the Wirt County Sheriff’s Department is dedicated to the standards of professional excellence through our responsiveness to the needs of all citizens. We are committed to public safety, protecting and enhancing the quality of life, upholding all laws, preserving the peace and preventing crimes while protecting the constitutional rights of all those we serve. We will perform our duties with compassion and integrity while maintaining the highest ethical and moral conduct at all times. Sheriff Travis Corbitt strives for a community that is proud, not only of itself but also of those that are sworn to protect it. He desires a safer Wirt County with less crime and actively involved citizens. Upholding public trust by being honest, competent and consistent in our beliefs and actions. We will hold ourselves accountable to the highest standards of moral and ethical conduct, quietly and without fanfare. Taking pride in ourselves, our profession, and our community. Working as a team, we strive to be role models for our community by enthusiastically excelling in quality performance. Dedicating ourselves to providing a safe environment for all. We are committed to protecting life and property, reducing fear, and developing a partnership with citizens to prevent and solve crime. Consistently treating all people in this county and within our department with dignity, compassion, and without prejudice. We will protect the constitutional and civil rights of everyone through impartial enforcement of the law.